Our objectives have a local, regional, national and international reach through our services, activities and status as a non-governmental organization affiliated with the United Nations. To implement IDEAL's vision, we created a community environment where education, the arts, well being and our relationship with nature hold an important place. • Communicate a vision of humanity as one family. • Foster moral, social and aesthetic values through educational programs, artistic and leisure activities. • Establish local, regional, national and international prenatal and perinatal educational programs, birth and youth centers. • Initiate artistic, musical and cross cultural activities. • Develop a way of life that embraces the laws of nature and considers the earth as a living organism. In 2004 IDEAL received the status of non-governmental organization (NGO) in Special Consultative Status with the United Nations Economic and Social Council. Our education, prenatal and perinatal health programs contribute to the achievement of the UN's Millennium Development Goals, particularly objectives # 2 and # 5 regarding primary education and maternal health. Our activities, areas of expertise and community lifestyle favor sustainable development through the sharing of resources and in the field of human relations. Lastly, our educational model offers an integrated curriculum leading to a holistic understanding of the human being, of how we relate to one another and to our environment. 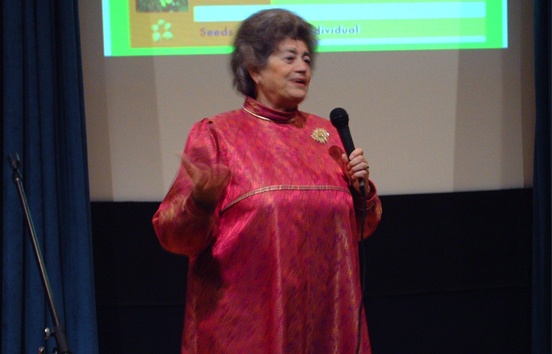 Natacha Kolesar, founder of IDEAL, lectured at the UN and in many countries around the world (Switzerland, Russia, Costa Rica, Italy, Togo, Ivory Coast, Germany, India, Puerto Rico, Singapore, Brazil, France). Doctor of Philosophy, her favorite themes were education, prenatal education, the creative imagination, the art of living, the structure of the human being. Click here for a fuller list. In 2009 IDEAL carried out a mission in Dhaka, Bangladesh, in collaboration with the local NGO Jaagoron. For this occasion, Alexandre Velik and a team from IDEAL developed a prenatal education training manual for teachers.